This Vintage 82 series pot has the internal ground and is designed for usage on guitars with a +/- 10% tolerance. 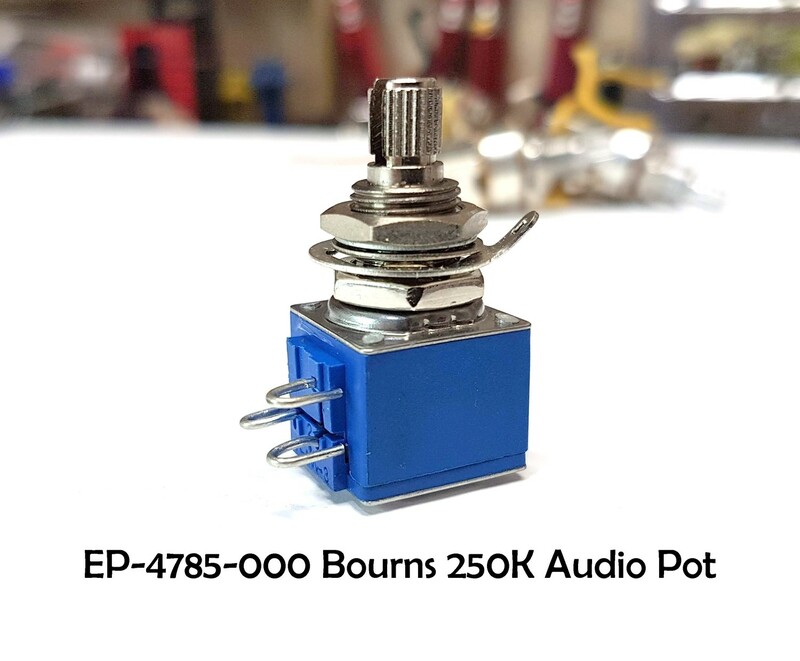 Please do not confuse this Vintage Bourns guitar potentiometer with the less expensive (but visually similar) version. The lesser version is not intended for usage on a guitar and has a floating shaft with no internal ground which can result in excessive noise as it is designed for panel usage and not instrument usage and has a 20% tolerance.